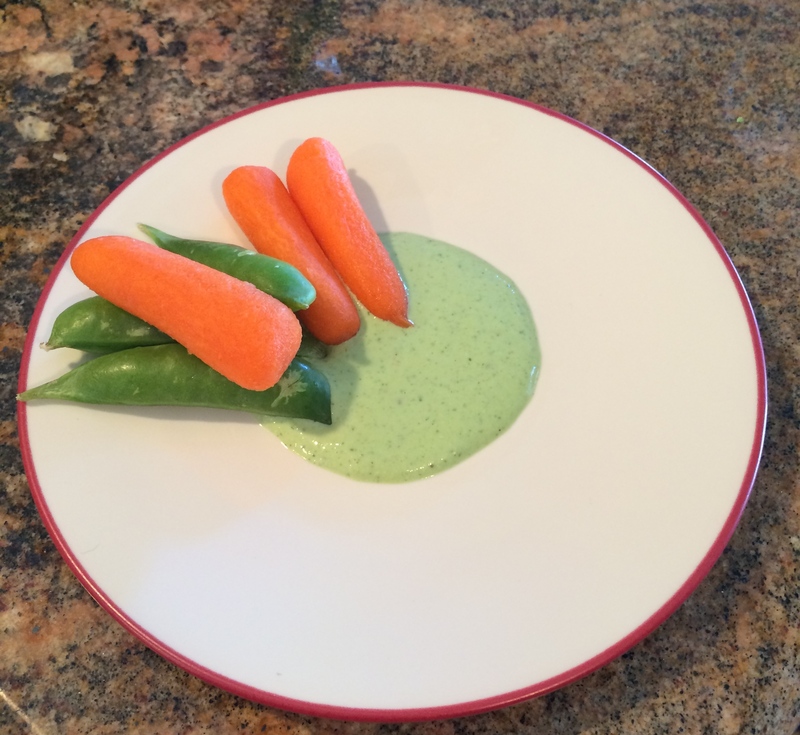 Greek Yogurt Mint Sauce – Healthy, EZ, Yummy! With the holidays coming up fast, I’ve been doing the usual scouring for recipes on the internet. But this healthy, tasty, versatile sauce can be used all year — veggie dipping sauce, chip/pita dip, garnish for roasted meats. I found the recipe on foodnetwork.com — another fabulous recipe from Ina Garten. I reduced the salt (put in just enough to your taste) and reduced the fat by using 2% Fage yogurt. I’m sure it could be just as tasty with a fat free yogurt. Place the onions, mint, dill, red pepper flakes, olive oil, and lemon juice in a food processor and grind until finely chopped. (If preferred, use a sharp knife to finely mince the herbs). Add the yogurt, 1/2 teaspoon of salt, and pepper and pulse until combined (or if preferred, mix together in a bowl). Taste the sauce to determine if it needs more salt and if needed, add up to another 1/4 teaspoon. Transfer to a bowl, cover, and refrigerate for a few hours (or preferably, overnight) to allow the flavors to develop.